I’ve been noticing wildlife my whole life. As a kid I was into Bald Eagles and had one that I adopted/sponsored for years that was at a rehab center in Florida. It was an Audubon program that my parents paid for so I definitely give them credit for encouraging my interest in nature. When I moved to Salt Lake City about 6 years ago my girlfriend at the time got me a bird feeder. One day I noticed a crazy “zebra-headed” bird that I had to research to find out was called a white-crowned sparrow. That pretty much started me down the path towards deciding I wanted to learn how to identify different species. I also have to give a ton of credit to Tim Avery, Colby Neuman and Carl Ingwell for birding with me so much; I’ve learned a lot from them and by birding with them. 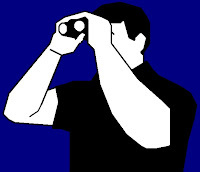 I am always watching for birds so in a sense I am always birding. In terms of going out with binos in hands it varies depending on time of year and how busy I am but at least once a week. Since my job takes me to Utah County so much, I spend a lot of time around the Utah Lake at places like River Lane and Swede Lane. I also love getting into the mountains and some of my favorite spots include the Little Dell/Mountain Dell area, Lamb's Canyon, and Big Cottonwood Canyon. Where is your favorite place to bird in your state/province? In the U.S.(or your country)? in the world? My favorite place to bird in Utah is the Kolob Reservoir Road in Zion National Park. In the U.S., I've had some great birding trips in Florida. One time I took a weekend and just drove around to various hotspots in Central Florida; It was amazing. I've yet to do any international birding. I recently found a singing Pacific Wren (in the summer) with Carl Ingwell at Smith and Morehouse Reservoir - I had never heard of anyone birding there before. Honestly my advice to other birders is to get out and explore. Any patch of trees can be a hotspot. Across the street from my office, in a single day during spring migration a few years ago I located a Nashville Warbler and a Northern Parula along with other, more common migrants for that time of year. I usually do a Utah west desert trip every year that includes stops like Fish Springs, Callao, Lucin etc. This can be a ton of fun to do during the height of migration and I don't think a lot of people do it. On these trips over the last few years I have seen a Wood Thrush, American Redstarts, Black and White Warblers, and a Baltimore Oriole. If you're looking for less common migrants passing through Utah I think the west desert can't be topped. I enjoy birding because of the depth of the experience. When you see a bird you're seeing something alive. To me, it is usually so much more than just getting a bird on your list. I see a bird as part of a greater story that is going on all over the planet and to be witness to that and knowing that you're of the same processes that created that bird is awe-inspiring. It invokes a kinship with nature. I use eBird because it seems to be the standard for collecting data. It is also user friendly and becomes quite an educational tool for learning about bird patterns and locations. Ideally I'm doing at least a small part for science and ultimately conservation causes by using it. I have a lot of great stories making it very tough to pick a favorite. However, seeing a Wood Thrush with Colby Neuman at Lucin in 2008 was pretty amazing. I remember after he found it he pretty much ran around jumping up and down with excitement. One memory that also sticks out is that I once located a Northern Saw-whet Owl at eye level approximately 5 feet in front of me and calling. It was a lifer look and truly incredible. Any time an unusual bird comes to the backyard I am always amazed to think about the story of that bird and where it came from just to be at my feeders. I had a flock of Red Crossbills in my yard for a week or so as well as annual visits from Cassin’s Finches; I’ve had as many as 50 at a single time. It’s cool when birds that have traveled so far spend time in the yard. Other memorable ones include a Lincoln’s Sparrow and the Black-chinned Hummingbird that returns to the same spot every year. I subscribe to Birding Magazine and Bird Watcher's Digest. 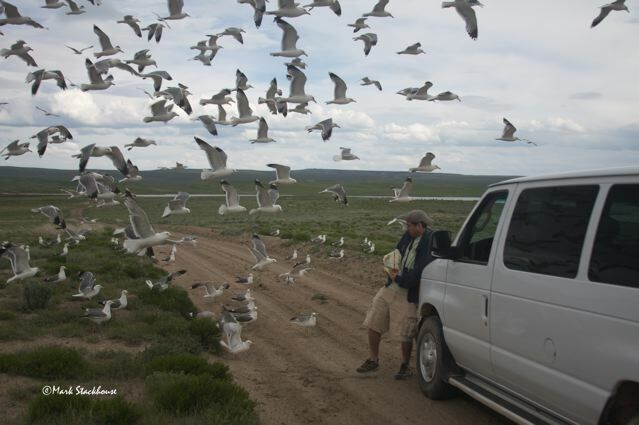 I regularly visit eBird and of course the blog that I write on: Utahbirders. Our affiliated website, Utahbirders.com is just in its very basic development stage but we have a whole lot of amazing ideas on how we can make it a great resource for the community and I'm looking forward to being a part of that. For just general bird identification, I find the Sibley Guide to Birds of North America be the most useful and comprehensive. Which books from your personal birding library would you recommend to other birders? 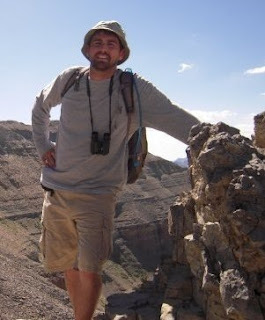 Jerry Liguori's books are the standard for Raptor Identification. No, I don't consider myself better with any particular family - my strength is usually in spotting the birds and then I try to gather as many details as I can about behavior, habitat and appearance and draw my conclusions from that. I'd like to help lead some more field trips around Utah for the Utah Birders including some big weekend trips across the state. For example, southern Utah hotspots and a reservoir hopping trip. These and others should be happening pretty soon. I also would like to combine trash clean up at local hotspots with birding and have discussed plans to roll that out as a recurring event as well. I write for Utahbirders and am working with Tim Avery and Carl Ingwell on building up our website (Utahbirders.com) and organization as a resource for the state birding community. I also support the Great Salt Lake Audubon and the Wildlife Rehabilitation Center of Northern Utah. I have never seen an Acorn Woodpecker and it is a running joke with some birders - specifically Steve and Cindy Sommerfeld who seem to see one hours before I try in the same spot and miss it. I think it is pretty funny and figure I'll eventually see one but I don't get too worked up about chasing birds very often. My parents live in the Chicago area and have gotten very into birding around their yard and neighborhood. Even my sisters have started taking notice in the last couple of years. My younger sister lives in downtown Chicago and photographed a window strike Woodcock in front of her building last spring. I play guitar. I love watching baseball (Chicago White Sox) and hockey (Chicago Blackhawks). I’d like to spend more time camping, reading, and writing. Pretty much every time I go camping with Tim Avery, Carl Ingwell, and/or Colby Neuman I have incredibly funny experiences. We always mess with each other and try to trick one another into believing that there is a bird there that isn't and stuff like that. It's all in good fun. The main thing about camping and birding and being out in nature for me is that I feel so alive and it's hard not to be a bit of a goof ball when you feel like that. One funny story was when I was camping with Carl and Colby and a car came up and I thought it was going to run over us and I jumped out of my sleeping bag waving my arms like a madman and screaming, "There are people camping here, watch out!" Turns out it was Colby's dad and he knew exactly where we were. Someone forgot to tell me he was coming. He tells the story great if you ever meet him. I’d like to contribute to conservation in some small way. If I could ever own a piece of land and save it from development - making it a bird sanctuary - that would be awesome. I feel like I know this guy from somewhere... But where... Oh well, great post, and good to see a huge contributor to Utah Birding getting a little bit about himself out there. A good blog that I can see. "Birding is Funnier", you should say.